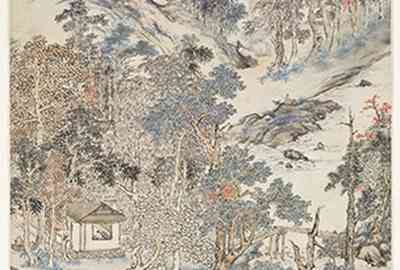 Yesterday The British Museum opened Gems of Chinese painting: a voyage along the Yangzi River. This is a free exhibition showcasing the beauty and culture of south-east China, with paintings dating from the 6th to the 19th centuries (CLICK). Shown is a detail from Xiang Shengmo's exquisite elongated scroll painting Reading in the Autumn Mountains (1623) from the Ming dynasty.